The Road Runners Club of America (RRCA) announced the 2018 Kids Run the Nation grant recipients. Forty-seven programs from 26 states, serving nearly 23,000 children, will receive a total of $35,000 in grants from the RRCA. RRCA member clubs and events, along with individual donors, have once again shown their support for gender-inclusive, participation-based running education through their contributions to the Kids Run the Nation Fund. The Boston Bulldogs and the Italian Home for Children in Jamaica Plain, MA are piloting the Junior Bulldogs Running Club to serve young residents who may be victims of trauma, have mental health concerns, or developmental challenges. The wellness-focused program will offer a positive outlet for stress and encourage personal growth by working with 10-13 year-olds to set individual running goals, develop personalized training programs, and provide mentorship and coaching to help them reach those goals. 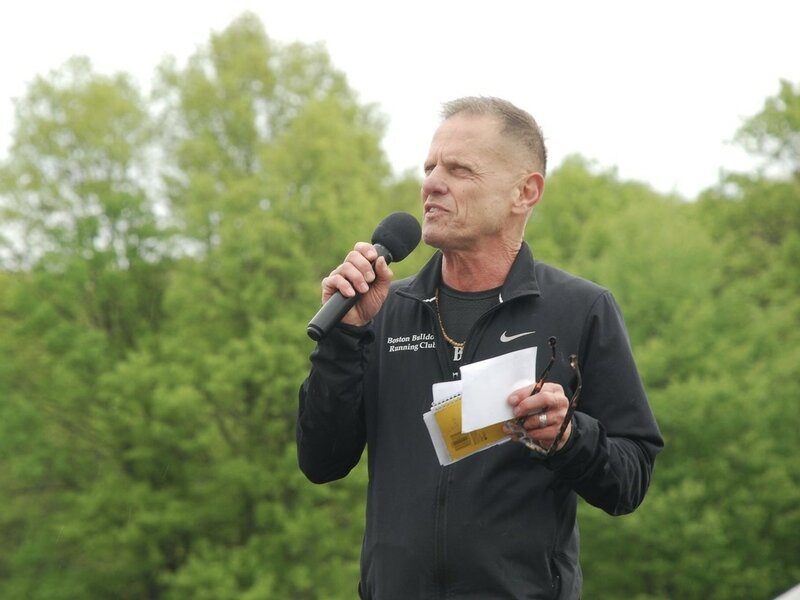 Boston Bulldogs on the radio with Andy Bernstein recorded at the Run for recovery and aired on 5/26. "I was at a halfway house in Jamaica Plain and coach Mike Ferullo came in one night," Staunton said. 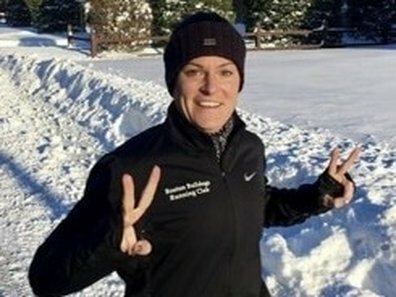 "I started doing a 5K, (and) I just kept meeting new people, sober people, a great group of friends and within a year, actually last year, I ran my first marathon the same weekend as I celebrated a year of sobriety." as they prepare for the Boston Marathon. Listen to Coach Mike's interview with hosts Kevin Stevens and Andy Bernstein. 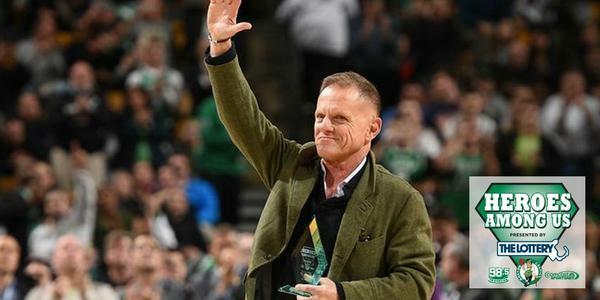 The Italian Home for Children honored Coach Mike, founder of the Boston Bulldogs Running Club, at their 2017 Annual Meeting with a Community Champion award. Coach noted the parallels between the Boston Bulldogs and the Italian Home, both founded in response to epidemics. The Bulldogs look forward to working with the Italian Home in the future to reach out to those who are struggling and to promote self leadership, community and wellness and recovery. "The opioid epidemic is claiming lives each day. The numbers are staggering and there has been no perfect solution. But one group thinks the answer comes in something laced - sneakers. 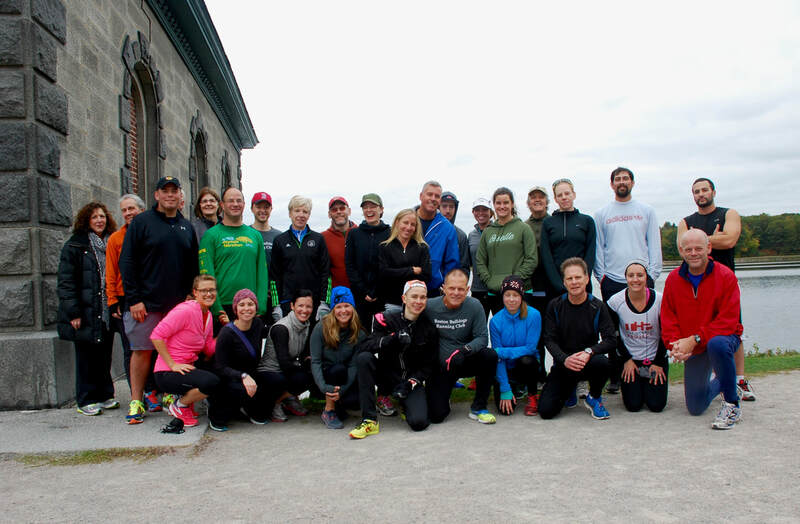 Every Thursday night and Saturday morning, the Bulldogs Running Club comes together for a type of support a perfectly fitted shoe doesn’t give..."
The Boston Bulldogs were established in 2008 by Clinician and "Coach" Mike Ferullo, at the Shattuck Hospital HopeFound shelter and stabilization program. The Club was adopted by Pine Street Inn in 2012 to provide members with the opportunity to participate in a positive social and wellness program supporting their recovery. 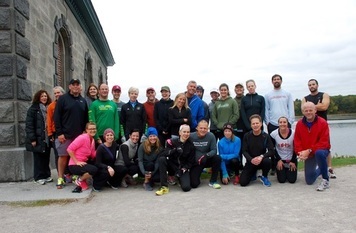 In October 2015, the Boston Bulldogs Running Club was established as an independent coed non-profit 501(c)3 running club (through the Road Runners Club of America). NESN Connects was proud to participate in the Boston Bulldogs 5K Run for Recovery on Sunday. The race - which is run in tribute to those people battling addiction, as well as their family, friends and community who support them - was held at Franklin Park. 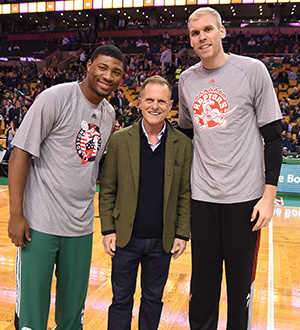 ​To hear more about this great event, check out the “NESN Sports Today” video, presented by People’s United Bank. O’Sullivan, an Easton native, said the organization has helped her battle through some trying times. Through the support and loyalty of founder Mike Ferullo and fellow Bulldog club members, she has been able to deftly meet those challenges head on. 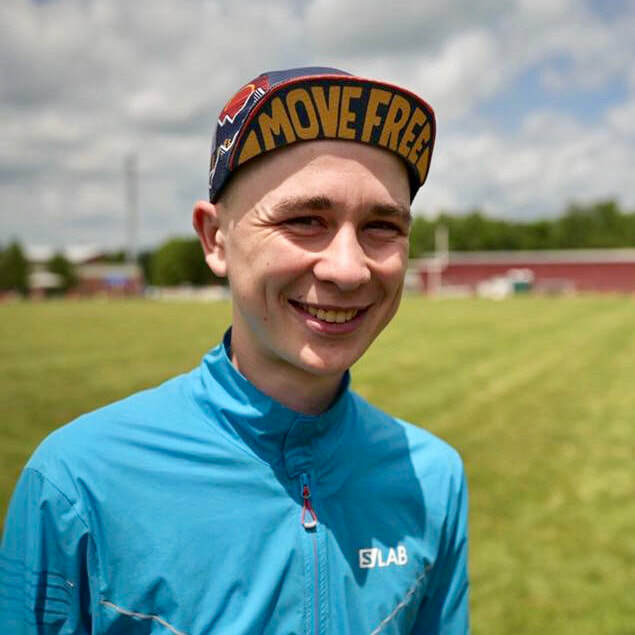 On Monday, April 17, 19-year old Needham resident Patrick Caron will make the journey from Hopkinton to Boston as part of the 121st Boston Marathon. Patrick is running and fundraising his second Boston Marathon for the ​Boston Bulldogs Running Club​, a local non-profit organization with a unique mission: to promote wellness and recovery in a safe, anonymous and supportive community for everyone affected by addiction - those in recovery, their families and friends, the clinical community, and the Boston community-at-large. Patrick has been with the club since its launch in 2015, volunteering as a coach and race director, currently planning the 2nd Annual Run for Recovery 5K, May 7, at Franklin Park in Boston. Coach Mike Ferullo, Meaghan and Sean of Boston Bulldogs Running Club, a co-ed nonprofit running club founded to support those battling addiction and in recovery, and those who have been affected by addiction and their supporters, discuss topics including how exercise, physical well-being and community are key components to recovery. 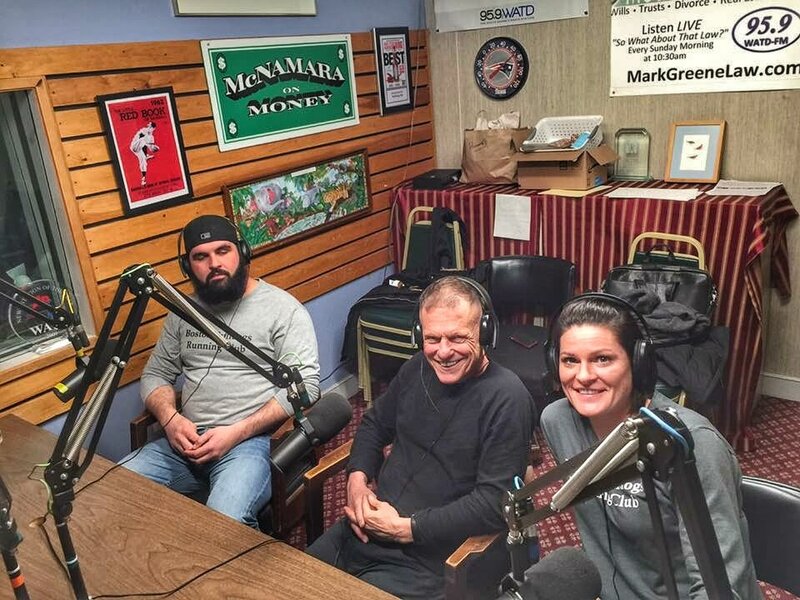 ​Coach Mike Ferullo and Meaghan of the Boston Bulldogs Running Club, a co-ed nonprofit running club founded to support those battling addiction and in recovery, and those who have been affected by addiction and their supporters, discuss topics including how exercise, physical well-being and community are key components to recovery. 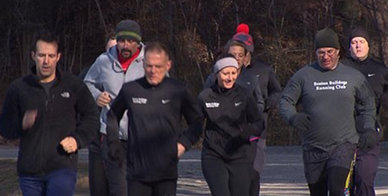 A local running club is making strides to help former substance abusers maintain healthy habits while discovering their full potential. 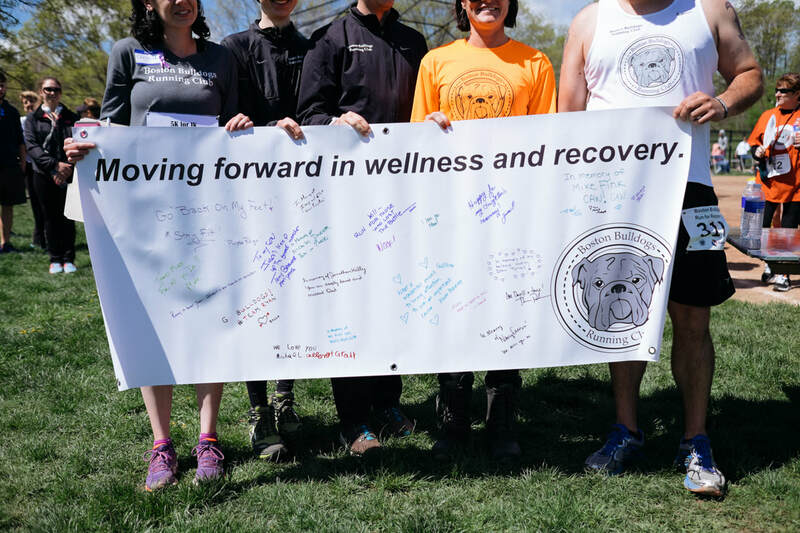 The Boston Bulldogs, the brainchild of Brookline clinical social worker Mike Ferullo, welcomes recovering addicts, as well as their families, friends and supporters, to its bi-weekly runs. 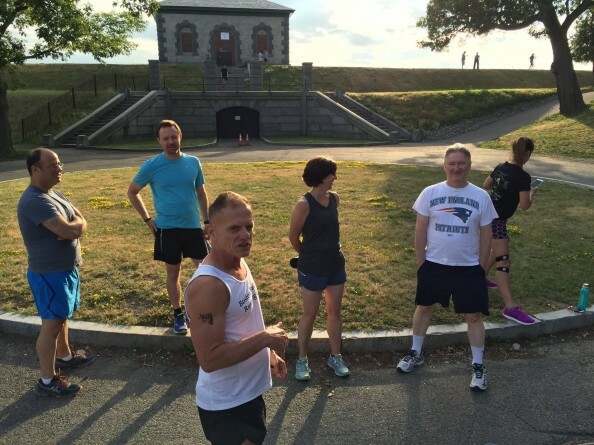 "In the fall of 2015 the club established itself as an independent 501 (c)3 non-profit – the Boston Bulldogs Running Club. This new identity was created to encourage running and wellness not only for those who are personally struggling with addiction, but also for friends and family who have been affected by addiction, to the clinical community that supports them and to anyone in the community at large who believes in wellness in recovery." "Nearly all of the topics published in South Boston Online are local, all along both legs of Broadway and on down Dorchester Street to Dot Ave. But you know just as well as we do that South Boston’s “epidemic” of substance abuse, especially heroin and other opioids, has turned into a plague..."
As the founder and coach of the Pine Street Inn’s Bulldog Running Club, Ferullo has volunteered hundreds of hours over the past five years helping men replace drug and alcohol addictions with a healthy runner’s high. Club members include residents and graduates of Pine Street’s Stabilization program, a residential addiction recovery unit on the campus of the Shattuck Hospital in Jamaica Plain.